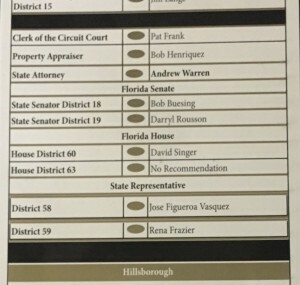 Despite the Florida Democratic Party providing President Barack Obama with a list of Democratic legislature candidates that included Lisa Montelione running for House District 63 against Republican Shawn Harrison, the Hillsborough County Democratic Black Caucus said not so fast. 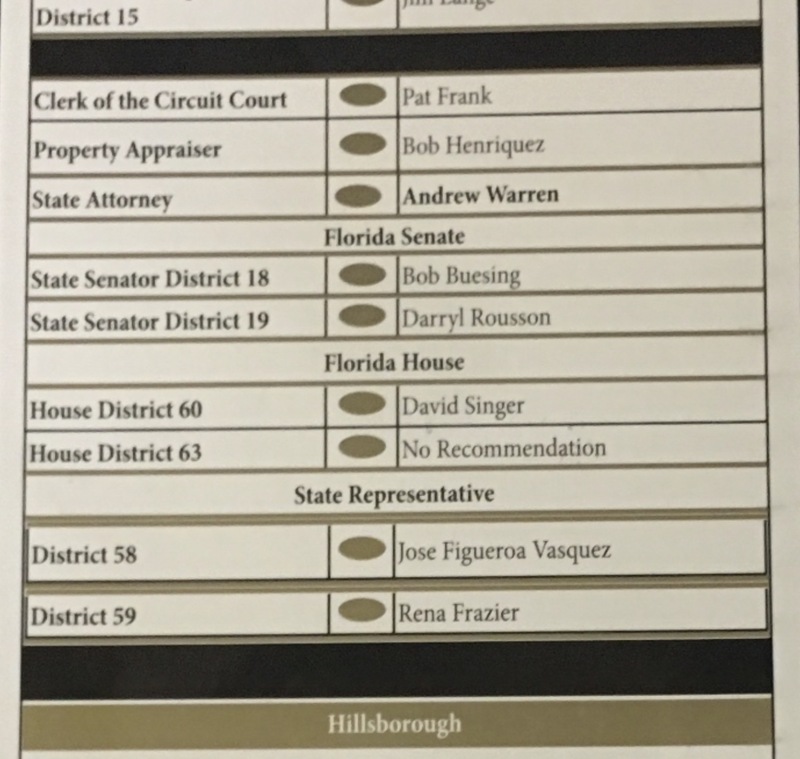 The HCDBC put out a slate card for its members and the black community that had a “no recommendation” for the HD63 race. Lisa Montelione is facing Republican Shawn Harrison in the HD63 race, who you may recall, received the endorsement of the well-respected Frank Reddick. In fact, Lisa Montelione has not received the endorsement of any of the local African American elected officials. I believe she dipped all the way down to South Miami to Khionne McGhee to get an endorsement. According to an email sent out by HCDBC president, Robin Lockett, Montelione does not address any of the Black community’s issues and concerns, and therefore, the “no recommendation” was the best she could get. There were a couple of members of the Caucus who still had that plantation mentality, and despite a vote that overwhelmingly decided the “no recommendation” decision on Montelione and the backing of the majority of the Caucus members, President Lockett had to straighten those individuals out. Now there is a Black Caucus President who is standing up for her community! Why just vote for someone simply because they have a D by their name when they aren’t addressing your community’s needs? Perhaps Robin can teach the state Black Caucus a thing or two! I guess Montelione should be happy with the NR, which means neither yes or no. I would have told people not to vote for her AT ALL! If she can’t be there for the Black community, the Black community should NOT be there for her! As my grandmother says, show her that fat meat is greasy!! Start calling these candidates that don’t address issues that are important to the Black community out! If they are only coming around during election time, don’t give them your vote! More Black voters need to become issue-oriented, and pay attention to who is concerned with your issues and who isn’t. Pay attention to who is walking the walk, and who is just talking the talk. For God’s sake, stop putting all of your eggs into one basket and stop simply voting because there is a D by a candidates name. Take control of your political destiny.